Kim Potter: "The Issue of Timing - When Prophetic Promises Haven't Come to Pass"
"The Issue of Timing - When Prophetic Promises Haven't Come to Pass"
This is such an important word right now...for this "time". I know many of you have had powerful prophetic words spoken over you in your life...in your callings. Often when things don't happen right away, we become discouraged and we let that prophetic word fade away. For those dealing with this right now...this word by Kim Potter is just for YOU! ...When receiving a prophecy, be wise and ask God for the timing of it. Often times, we set our eyes on it happening right away. If it doesn't, we become discouraged and we take our eyes off God. Time passes—if we don't see the promise in that allotted time frame, we may become weary and give up. "That is the spirit of anti-Christ wearing down the saints; trying to change the times and seasons. He's spent years getting us focused on the time of something instead of keeping our eyes on God. Then when it doesn't happen in the TIME we think, we get CALLOUSES in our hearts, and when the timing of the Lord actually comes, we are hard! We MUST keep our focus on Him to where timing doesn't matter; then when HE says 'it's time,' ANTICIPATION is birthed!" This has been a concern I have spoken with her about many times in our private conversations. When receiving a prophecy, be wise and ask God for the timing of it. Often times, we set our eyes on it happening right away. If it doesn't, we become discouraged and we take our eyes off God. Time passes—if we don't see the promise in that allotted time frame, we may become weary and give up. I love the gift of prophecy, as it is vitally important in Body of Christ. However, when receiving prophecy, be sure to keep your eyes on God. If it is truly a word from God, it will come to pass. If you keep your eyes on God, the timing of it won't matter. If you are fully persuaded in your faith, time will have no relevance. I once heard someone teach on seedtime and harvest. They said it like this: "Seed... time... and harvest." I see this as a truth whether we are sowing financial seeds or sowing the seed of the Word of God into our own hearts. There is most often time between the seed being planted and the harvest. During that time of waiting what we do is vital; what we set our affections on is very important. The enemy will do everything in his power to make you think what God has promised you is not going to happen. He will whisper in your ear; he will taunt you to look at the time that is passing. He will speak words against our God and he will do whatever he can to cause you to let go of that promise. Why? Because he wants you to lose your vision of the promise. Without a vision, we let go (Proverbs 29:18). The enemy knows Galatians 6:9 is truth: "Let us not grow weary in well-doing, for in due time we will reap a harvest, if we do not give up." We will reap our harvest, if we do not give up. We will reap our harvest of salvation for our kids and family. We will reap our harvest of wealth. We will reap our harvest of healing and wholeness. We will reap our harvest of peace. We will reap every single harvest if we continue in God's Word and refuse to give up. God is faithful. He will do all that He has promised He will do. I encourage you to cast your net of faith one more time. Choose to believe what God has said is truth. Refuse to listen to the lies of the enemy. Immerse yourself in God and His Word. Build your faith, declare His Word and seek His face. Do whatever you need to do to get your focus back on God. 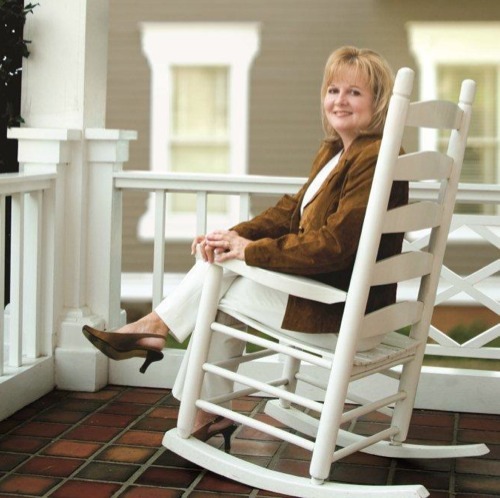 In 2005 Kim Potter founded A New Thing Ministries which reaches thousands of readers daily. In addition, Kim speaks at conferences and meetings nationwide. Kim's message is a message of hope, and she speaks to the heart of those who have become discouraged and disappointed by the circumstances they face in life. She encourages people to press into God and discover that He is who He says He is. Nothing is more precious to her than the times she spends in the secret place with her God; from this place of oneness with Him, her anointing flows. Kim has witnessed God's dramatic healing power, both in her own life as well as with her daughter and many others.